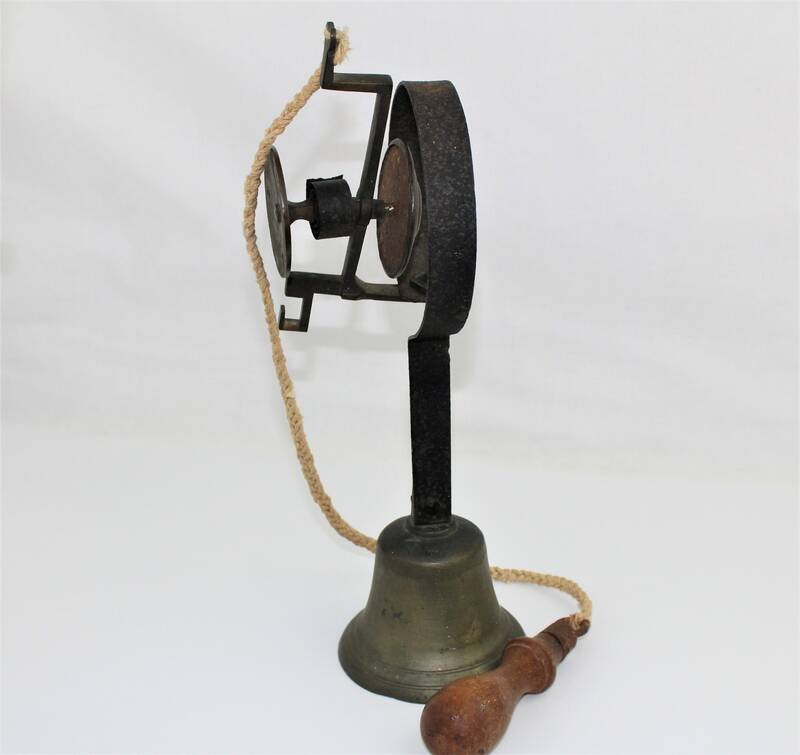 We have for sale an Antique Brass Servants Call Bell. 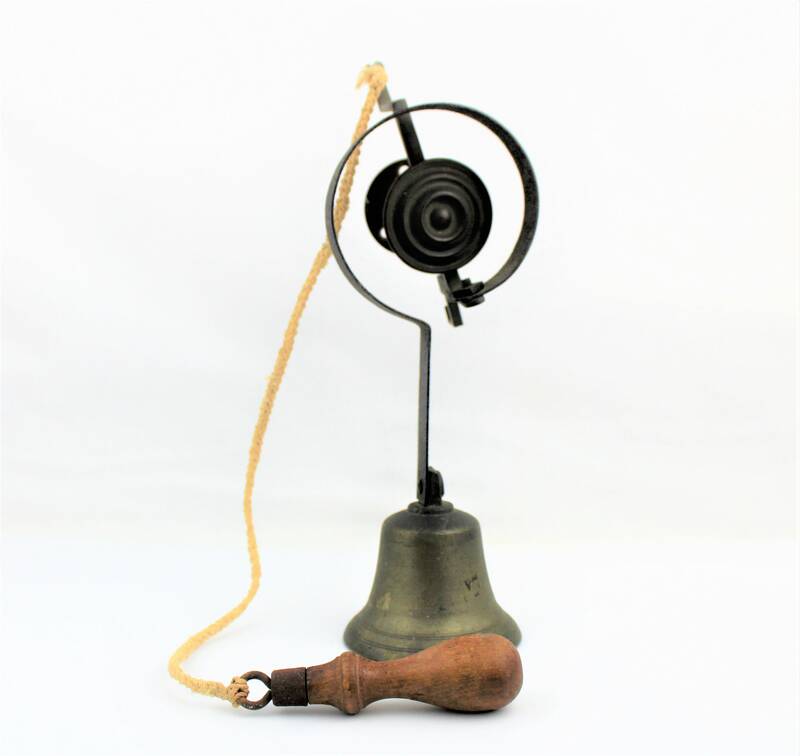 Wonderful antique brass servants bell. This was a real treat to find these are becoming more and more scarce to find. 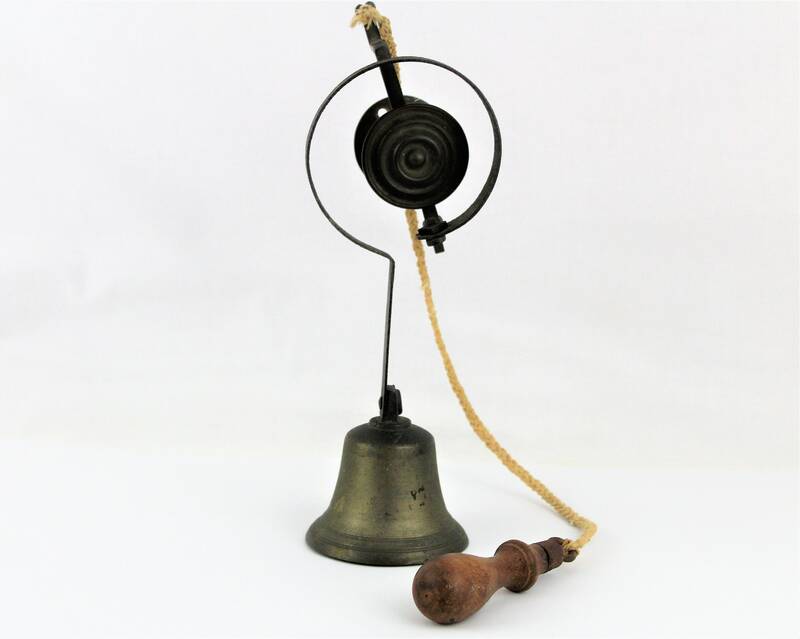 The bell has a loud and true ring that instills a strong feeling of being summoned. 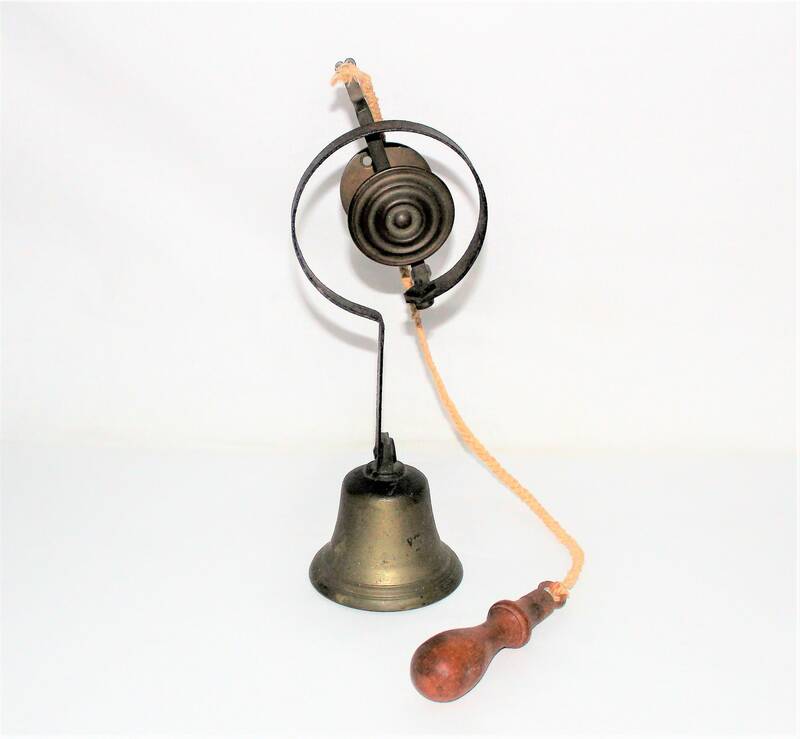 These were used in large Victorian era estates where you would have had wait staff and servants. Call bells have been around since the mid 1700’s these bells would have been hanging in the servant’s quarters, you could have seen one or two bells or as many as a couple dozen depending on the size of home. 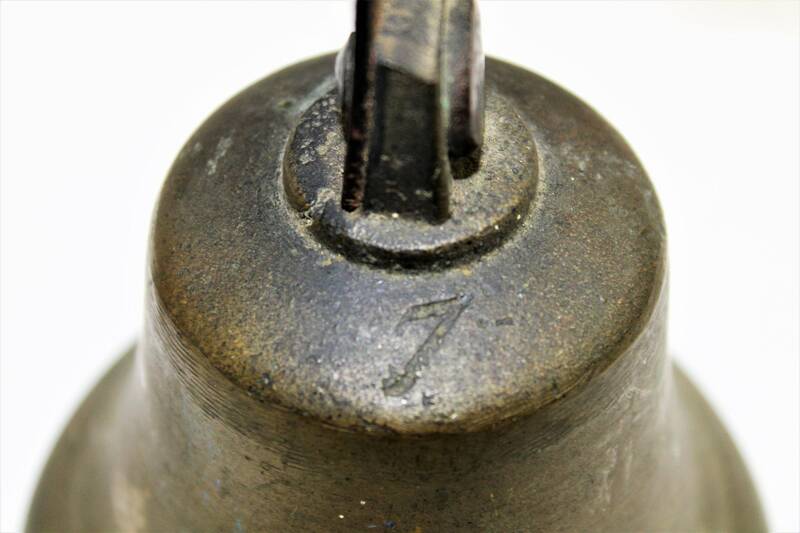 This bell has the #7 stamped into the top of the bell. 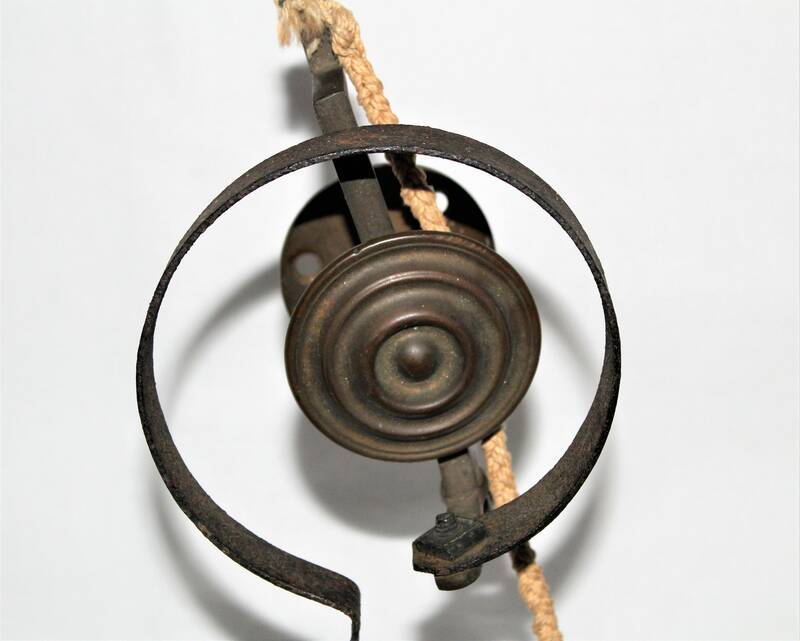 The bell, round rosette and hanging plate are all made of brass the large coil spring and shaft are steel. 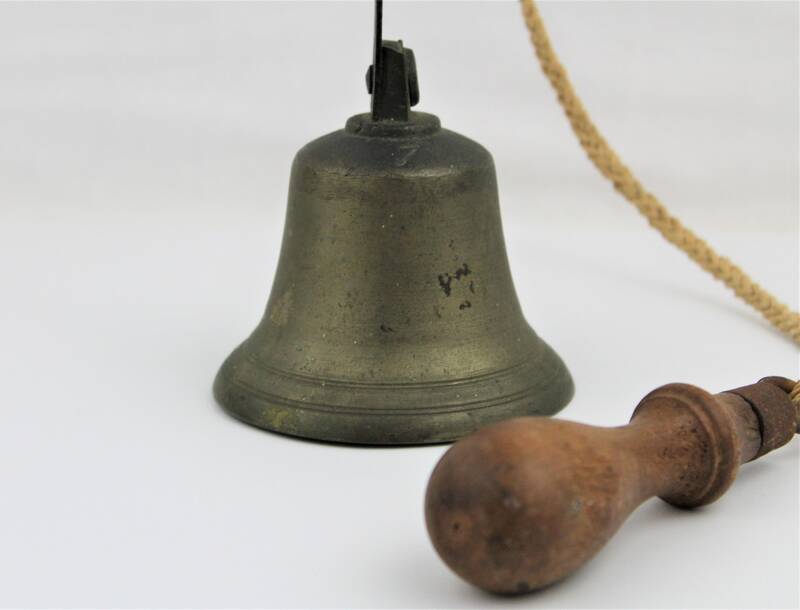 The bell is as found uncleaned with over a hundred years of patina. 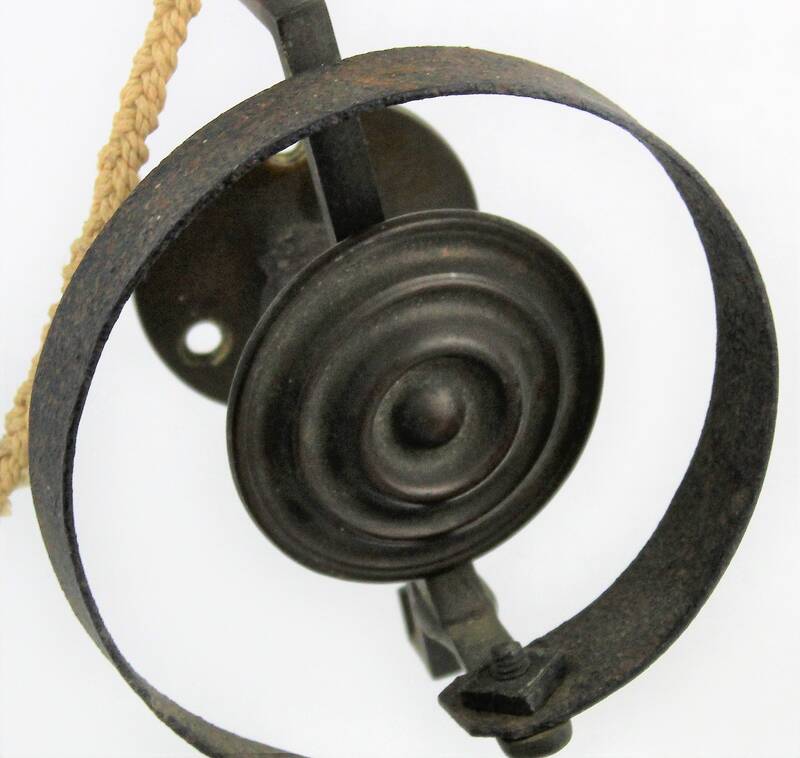 This will make a wonderful front door bell or dinner bell. Found in South Eastern Kentucky. 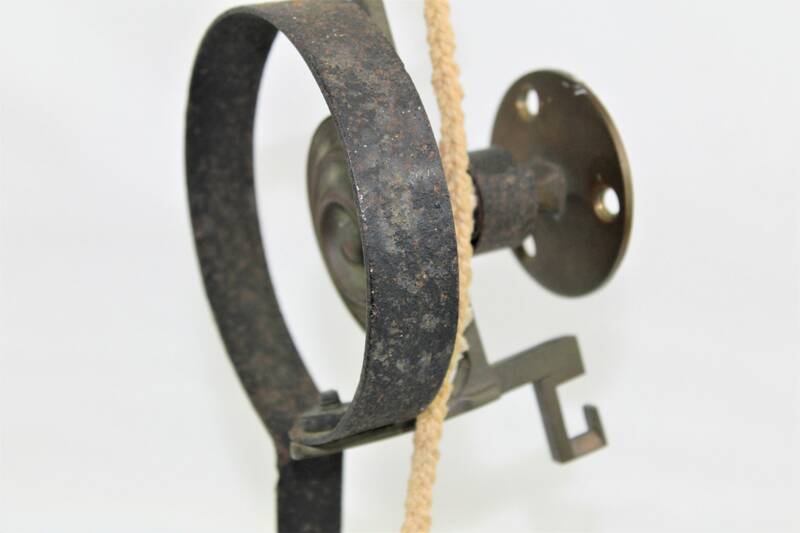 Measures: Bell with shank = 4” high x 4” diameter; full bell and swinging assembly = 13 ½” x 5 ½”; pull cord is 22” long and the wood hand pull is 5 ½” long x 1 1/2” diameter at widest point. Condition: Good vintage condition with lots of patina. Steel shown surface rust. Hanging plate shaft has a slight bend. 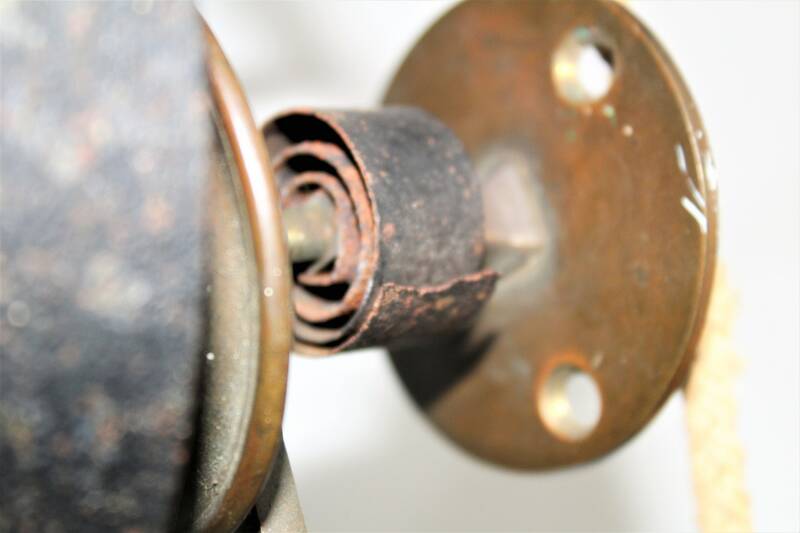 Small coil spring on main shaft is broken this does not affect the bell from ringing. Please see all photos as they are part of the description.